Late last night, this video from one of our readers popped into our inbox, featuring that same DROID Bionic teaser that we received last week, only it had a slight change at the end. 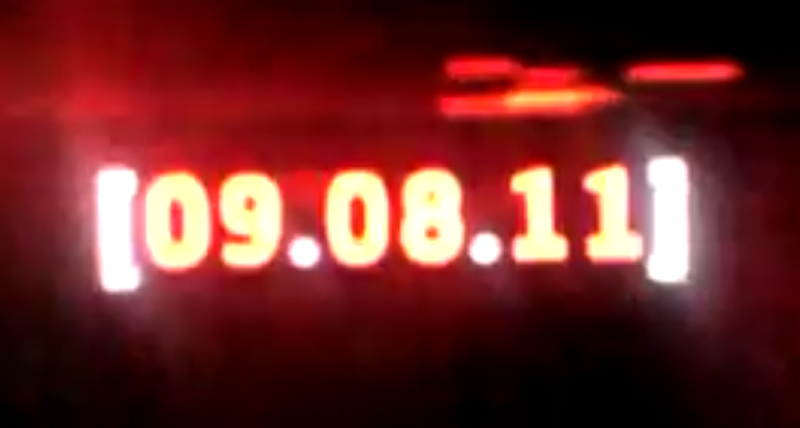 Apparently airing during the George Lopez Show, instead of saying “SEPTEMBER” in the last second, this spot clearly states “09.08.11” which we can all assume is the official launch. After all, we have seen this date 3 or 4 times now, including two from us yesterday. So you know, the DroidDoes.com entry codes have all been entered (finally) which gives you all of the info you could need to join in the latest DROID scavenger hunt. It’s all stuff we gave you yesterday, so prepare yourselves as the contest starts in 60 hours. And if you were wondering what that countdown was all about, we are pretty sure it was simply going to self-unlock in case one of the tech blogs decided not to participate (something that almost happened). As you can see by going to the site, the countdown is now gone. Why the delay on the announcement, Big Red?